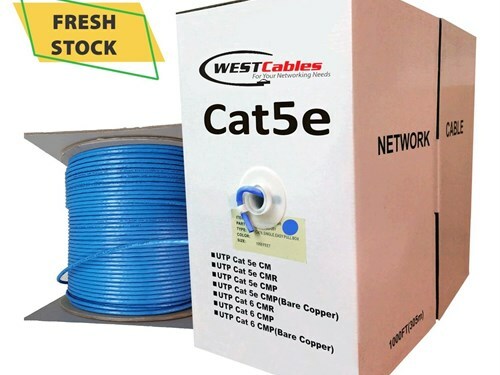 Seller Description: Buy high-quality Bulk Cat5e CMP 1000FT cable with enhancing price. Cat5e Plenum 100MHz 24-AWG UTP Ethernet network cable has a special insulation that has the very low smoke. Plenum cable is mandated to be installed in any space (large office buildings and outdoor areas) Cat5e Plenum UTP (unshielded twisted pair) network wire is with high-quality voice, data, and video and securities capabilities. 1000FT Cat5e, Cat6 and Cat6A Plenum Bulk Cables with discounted prices, whether you are networking home, Office or an industrial area.